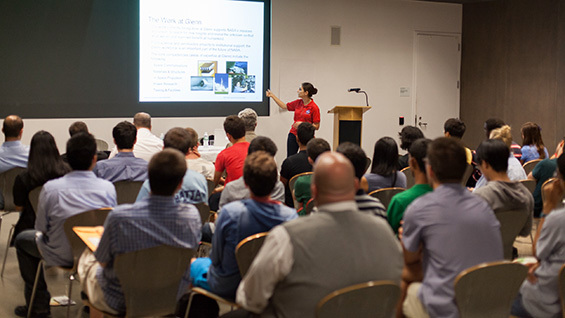 For the first time, the National Aeronautics and Space Administration has sent recruiters to The Cooper Union. Over forty students showed up to a presentation by three NASA employees currently working at the Glenn Research Center in Cleveland, Ohio. Ron Mullenax and Lauren M. Demirjian, two recruiters, brought along Fransua Thomas, a Materials Engineer and aspiring astronaut. They had arrived seeking candidates for internships that could lead to full time employment at the only federal agency that has the stated vision: "To reach for new heights and reveal the unknown so that what we do and learn will benefit all humankind." 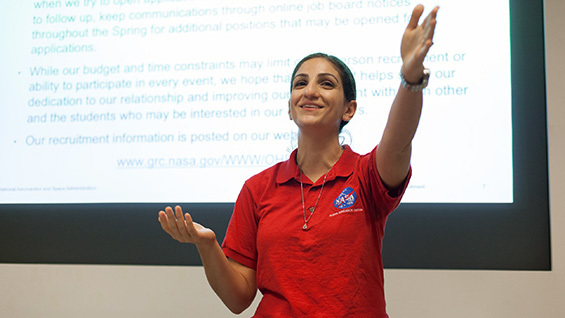 Ms. Demirjian introduced some of the research work being done at Glenn, including deep-space communications, in-space propulsion, power structures and energy storage. She said that interns might work on advanced research in photovoltaics and solar cells, space craft fire safety, fuel consumption, engine noise reduction, satellite communications and navigation technologies. Glenn is also involved in research towards the new Space Launch System that will replace the retired Space Shuttle program. If it wasn't enticing enough to learn about the Icing Research Tunnel, where someone with the title of Cloud Specialist simulates atmospheric environments to test aeronautic components, the students may have sat up when they learned they would be also be paid an hourly wage equal to four times the average cost of a one-bedroom apartment in Cleveland. Students were walked through the online application process and were even given the phone numbers of the recruiters. "We are excited to have NASA on campus because this is a new recruiting relationship that helps us expand opportunities for Cooper students in aeronautics and aerospace engineering," Jolie Woodson, Assistant Director of the Center for Career Development, said. 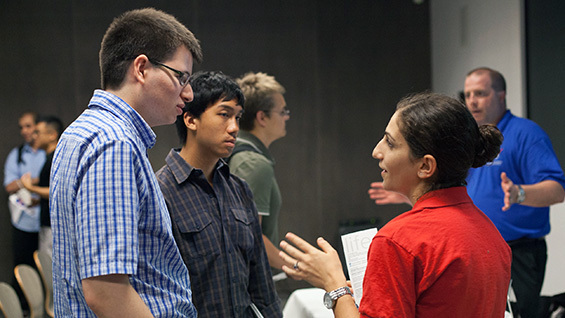 NASA arrived on campus at the invitation of Cooper Union's Center for Career Development, which hosts a variety of recruiting related sessions throughout the year. What's next? "We will have General Motors on campus (also for the first time) at the end of September. ExxonMobil, Bloomberg, and Con Edison will also be on campus this year separately from the career fair which happens on October 15," Ms. Woodson says.